Today we took a trip to Texel Island, the largest and most popular of the West Frisian Islands. 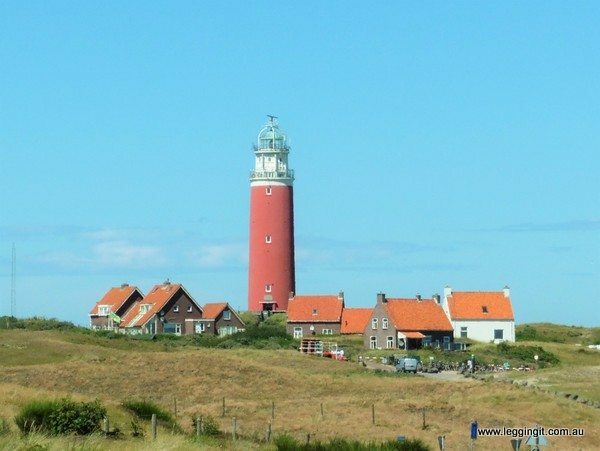 Texel Island is only about 90 km’s from Amsterdam so is quite popular with local Dutch people during the summer months. The ride out to Texel (pronounced Tessel in Dutch)was really nice as it followed the North Holland Canal all the way to Den Helder. Along the way we had great views along the canals of windmills and lines of wind turbines. It was a bit like the old and the new. Following the canal we spotted a few big old ferry boats slowly chugging along and thought, what a great way to see the country. It’s also a part of the country which most international tourists never see. The countryside is quite spectacular with large fields of corn, wheat, barley, potatoes and flowers. The fields of flowers were quite spectacular with purples, crimsons and white. It reminded us of arriving in Holland during tulip season two years ago. At that time all the fields were covered in tulips of all colours. 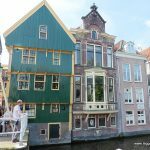 We visited Keukenhof Gardens during their flower festival and also Haarlem for their flower parade. Seeing all those different coloured tulips in bloom was just amazing. 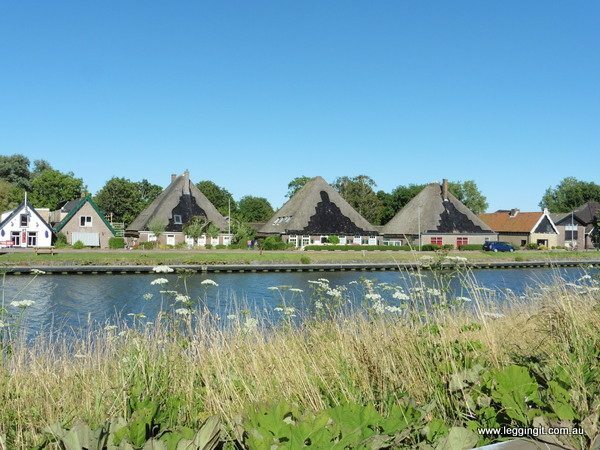 Along the canal near Sint Maartenszee traditional thatched roof houses line the canal. Their style of thatching is unlike anything we’ve seen before with a feature area on the front of the roof which looks like its woven. 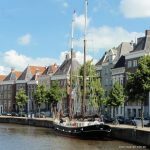 Arriving in Den Helder we were surprised by just how beautiful the town was. 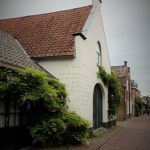 Den Helder is the ferry port for Texel but is well worth a look around. 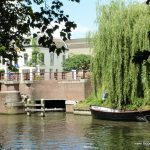 Around the town are lots of old buildings, restaurants and cafes overlooking the canals. A great place to explore. Some of the old warehouses have been converted to a Maritime Museum and lots of old ships and boats line the wharfs which surround them. The ferry from Den Helder to Texel was quite busy and we were lucky to arrive just before it was due to leave. We purchased the tickets at the pay-booth on the wharf which was quite easy. The return trip only cost €11 for two passengers and the motorcycle. Crossing from Den Helder to Texel only took about twenty minutes. It was just long enough to line up for coffee and then hurriedly drink it risking third degree burns. 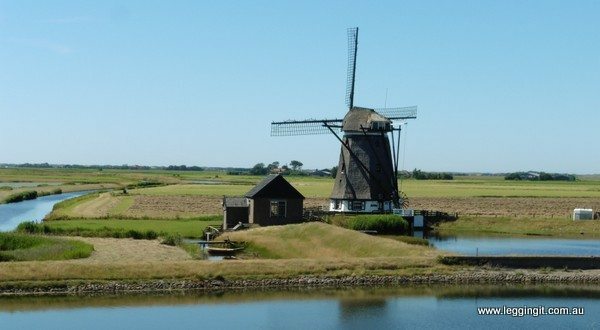 Despite being only about 25 kilometres long Texel has had an interesting history and made an impact in the world. Texel is the only place in history where the Navy was defeated by horsemen. In 1795, French troops found the Dutch Navy stuck in the ice around Texel so they simply rode up to them and told them to surrender. During the American War of Independence Texel was the base for privateer John Paul Jones on USS Bonhomme Richard. He is known as the father of the American Navy. Whilst in the UK we learnt about his raid on Whitehaven. With plans to spike the guns of the fort and burn the British ships in port the American raiders rowed ashore. Due to the current it took a little longer for the raiders to make it to shore and after spiking the guns their lamps had run out of oil. So where did his sailors look for oil? Of course at the taverns. Whilst they were there they decided to have a bit of rum. Needless to say the raid wasn’t successful and only a small fire was started which was quickly extinguished. The town still remembers him with pubs named after him. 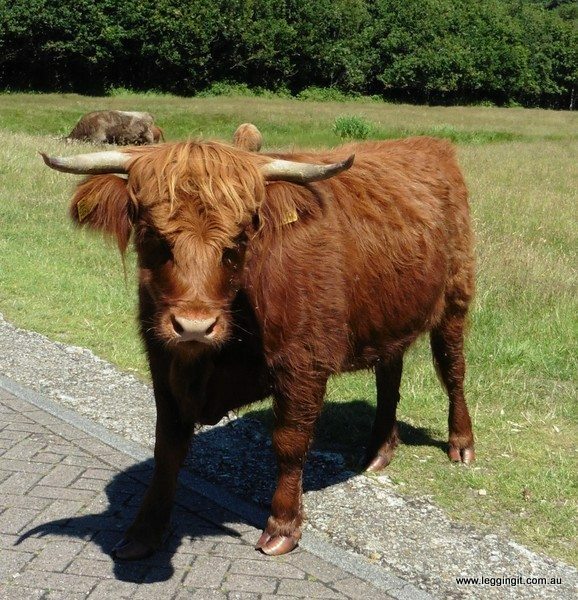 Texel was also the scene of a diplomatic incident. Not long after the raid on Whitehaven John Paul Jones sailed a captured British ship to Texel for repairs which caused a bit of a hiccup in British-Dutch relations. Since then Texel’s been pretty quiet however it’s actually their sheep which have earned the island a place in modern history. The UK, Europe, USA, the Americas, New Zealand and Australia all have flocks of Texel sheep. Texel sheep are prized for their highly muscled but lean physiques. These days 70%of sheep in Holland are Texel. But enough of that boring stuff. 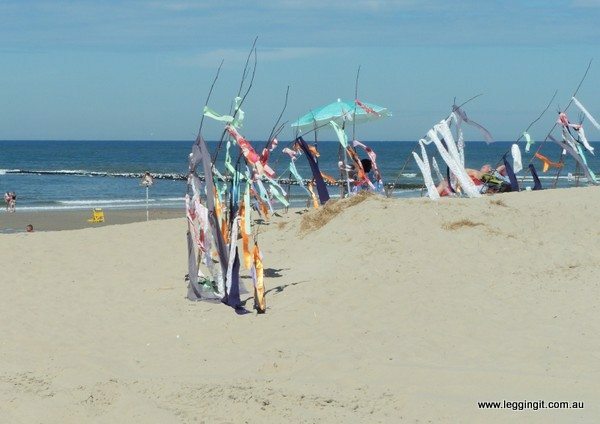 The real attraction of Texel is its lovely white sandy beaches. It’s a great place to soak up the sun and swim. There are plenty of spots along the coast and travelling around Texel is best done by bicycle or in our case motorcycle. The whole island is crisscrossed by cycle paths taking in the varied landscape of farms, beaches and forests. 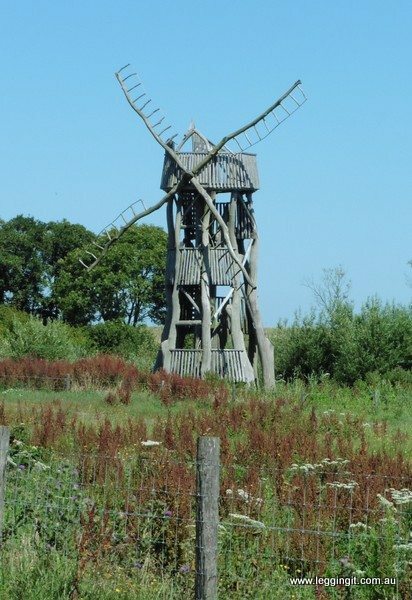 There’s an area of national park near Den Hoorn which is popular with birdwatchers. We traveled along the coast visiting the various beaches along the way. The beaches are really well setup with carparks, bike racks, cafe’s and there’s a shuttle bus which drops off at each beach. Behind the beaches a long strip of coastal heathland stretches along the coast. Purple hues of heath cover the landscape in a beautiful display. Protective dykes ringed the island protecting the farms from the North Sea. Although the island makes most of its money through tourism it’s still really rural. Many of the locals still make a living off the land farming sheep, crops or in one case Highland Cattle. The whole island is covered in farms with fields of grazing land, wheat, corn, potatoes, and sugar beets, stretching out in all directions. There’s a few tiny villages which have a real quaint feel about them. We headed up to Cocksdorp at the north end of the island which is quite a busy village with cyclists going in all directions. Not far away the Eierland Lighthouse is one of the popular spots for photographers with the red lighthouse overlooking one of the more popular beaches. It has a lovely cafe which was the prefect place to stop for coffee and cake. A large white sandy beach stretches out in front of the lighthouse and it’s a haven for land yachts. We watched as the land yachts raced back and forth driven by the wind. On the dunes locals soaked up the sun in their hundreds. On the way back towards the ferry we headed across the northern coast along the protective dykes past a few old wind mills and through a few small villages. The little villages were quaint with their little wooden cottages with flower boxes in the front windows. We skirted along the west coast passing through Oost and Den Burg on our way back to the ferry. We arrived a little early as the ferry is an hourly service up until 3 but then becomes a two hourly ferry afterwards. The ride home was pretty quick and we regretted not stopping for photos on the way up this morning as the light had changed. 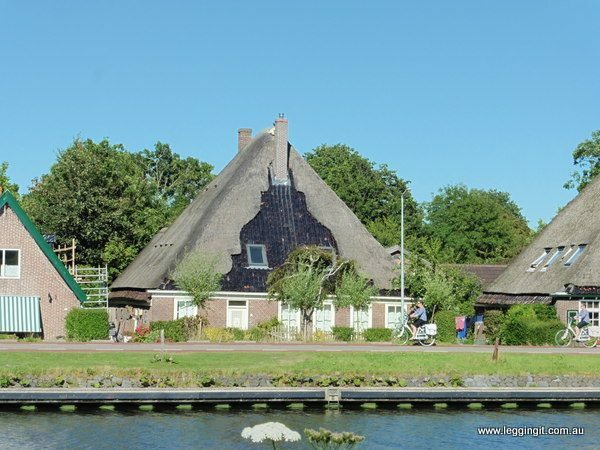 Tomorrow we say goodbye to Holland as we head to Belgium on our way to England. That is really an amazing location to visit. The scene was fantastic based the images alone. Looking forward going there next year and have a vacation. Good job for sharing it to us.